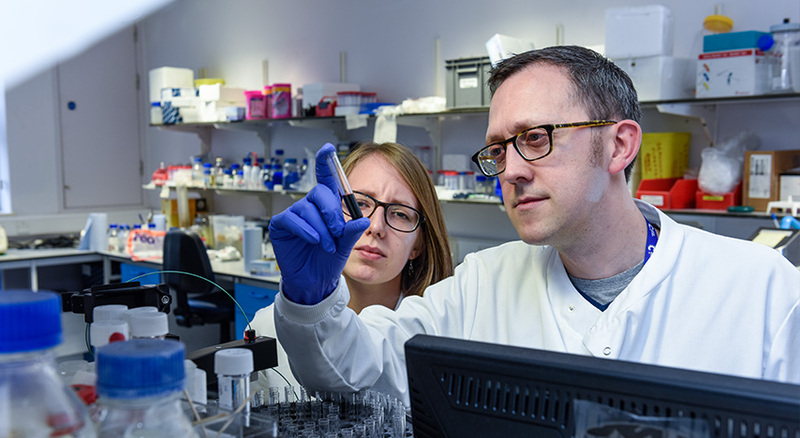 Your crucial support will now help our pioneering scientists drive forward the research in our new Centre for Cancer Immunology. Thanks to generous donations, we have world-leading, state-of-the-art facilities… and we are ready to make the most of them. 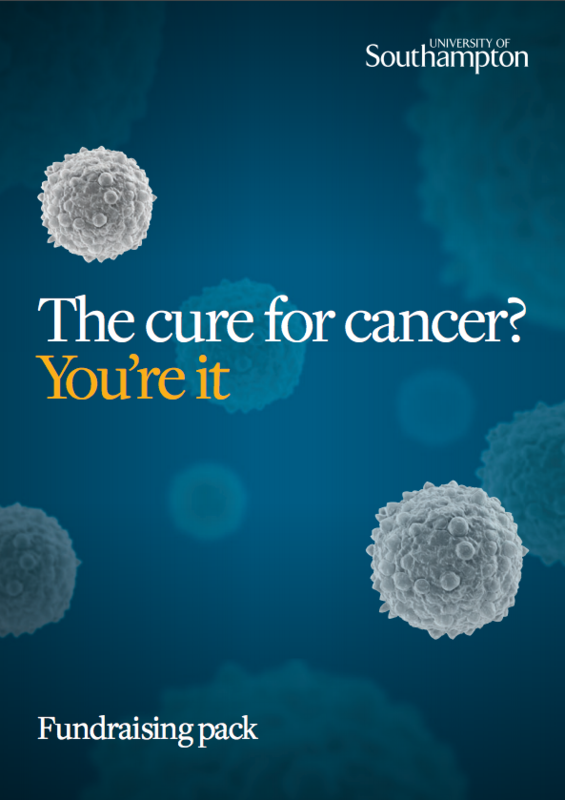 You can help us accelerate our progress by supporting our new Cancer Immunology Talent Fund. 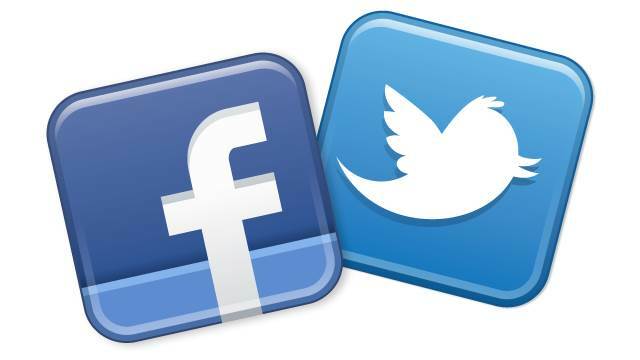 There are many ways you can get involved, from fundraising, to making a donation or helping us spread the word on social media. Below are a few suggestions to help you. 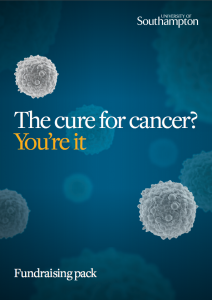 By working together we can save more lives from cancer. There are several ways you can donate to the campaign. All gifts make a difference. Thank you. Click on the link below to donate simply online today. Click on the below link to download our fundraising form and send it to us with your cheque made payable to ‘University of Southampton’ at the address printed on the form. 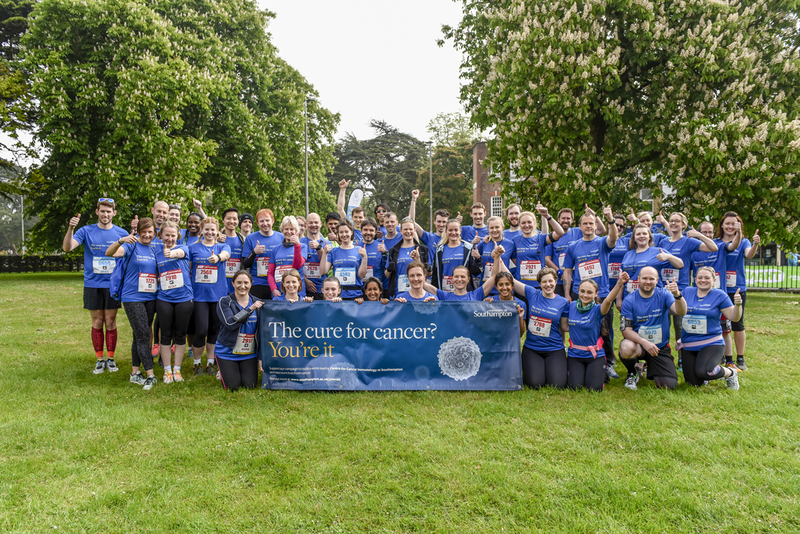 Take part in a challenge and raise money through JustGiving – simply choose University of Southampton as your chosen cause and all funds will go to our Cancer Immunology Talent Fund. Consider a naming opportunity within the new Centre. For more information, download our naming opportunities leaflet. Ask your company if they provide a payroll giving scheme so you can donate while you earn. To find out more, click on the button below. Follow our campaign on Facebook and Twitter and help us spread the word about our campaign. Choose how to fundraise – there are lots of ideas out there – from running and cycling to baking, auctions and many more. Download our fundraising pack for information and ideas – it contains everything you need to get started including sponsorship/ collection forms. Why not organise a bake sale to raise money? 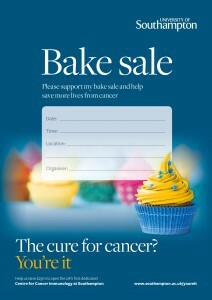 Download our handy cake sale poster to help promote your event to your friends and colleagues. 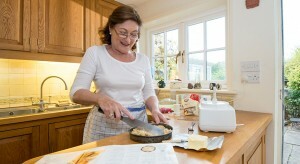 Visit our JustGiving page to see how and why other people are fundraising for us. 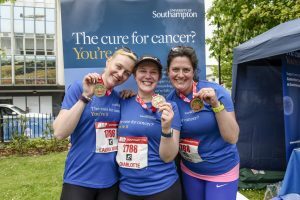 When setting up your JustGiving page, choose ‘University of Southampton’ as your charity and all funds will go directly to the Centre for Cancer Immunology. 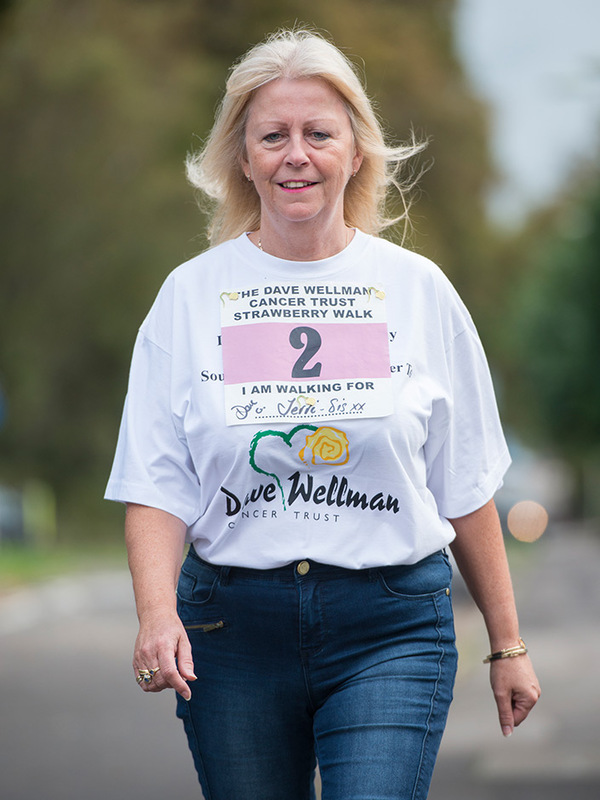 Taking part in an event to raise money for our campaign is a fantastic way to get involved. 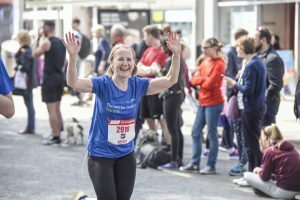 Last April, over 230 runners (made up of staff, students, alumni and members of the local community) took part in the ABP Southampton Marathon, Half Marathon and 10k and collectively raised an amazing £40k! One of our campaign runners was Charlotte Moss (pictured centre with her medal), who took part in a cancer immunology clinical trial at Southampton to treat her stage three melanoma (advanced skin cancer). Now over five years’ cancer free, Charlotte ran the 10k and we were so proud to see her cross the finish line. 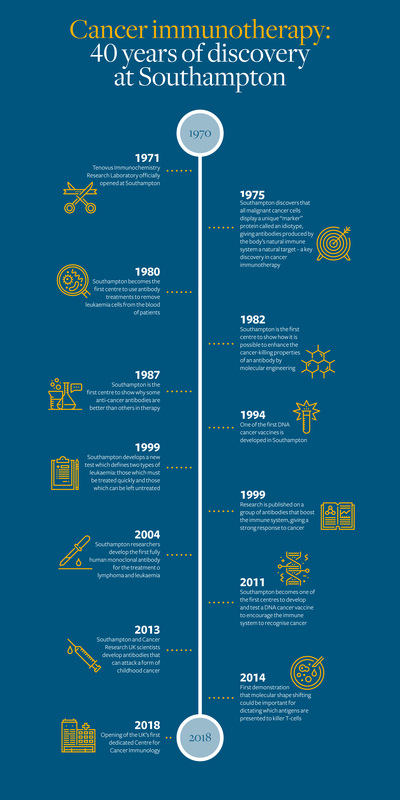 This is what our research is all about and why your support will make a life-changing difference. Thanks to philanthropic support, plans for the new Centre are underway.This video shows our gratitude to everyone making this Centre possible and to anyone supporting the campaign both now and in the future. Please watch our video by clicking on the play button. Find out more about our new Centre and learn how it will save more lives. Download our fundraising pack for ideas and tips on how to support the campaign.